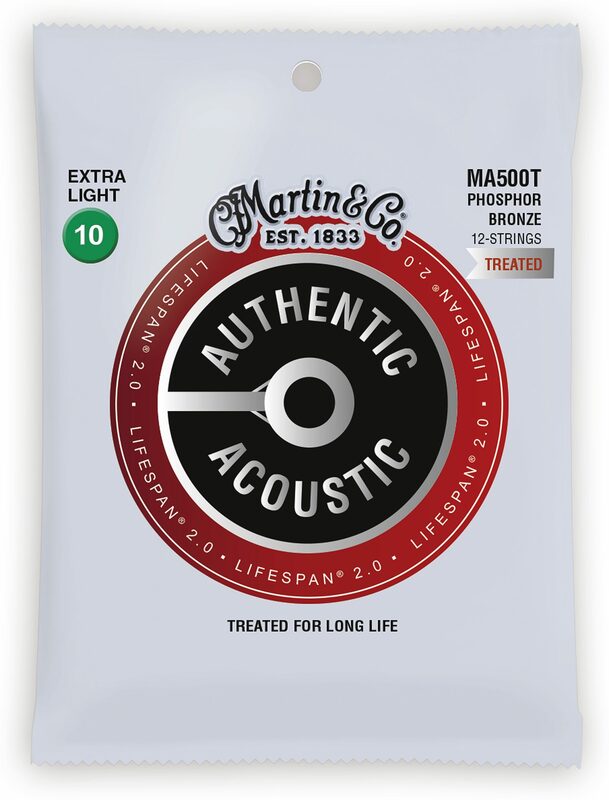 Martin Lifespan 2.0 strings are engineered using a patented technology only available from Martin. This technology was developed to protect the core wire and the wrap wire to prevent corrosion without compromising tone -- the single most important attribute of the guitar strings. Authentic Acoustic Lifespan 2.0 strings look better, sound better, and feel better, providing a smooth playing experience that reduces finger drag. They invested two years developing Lifespan 2.0 strings to ensure they will sound better, longer than any other extended-life string on the market. 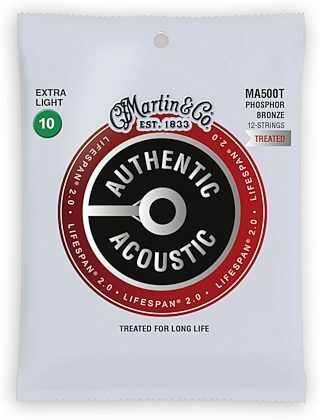 Martin Authentic Lifespan 2.0 Treated Phosphor Bronze 12-String Acoustic Guitar Strings offer next generation treatment for long life, great playability and feel, and superior reliability with authentic tone. Overall: I love Martin guitar strings, the retro series has always been fantastic. However, these are the worst strings I've ever put on my 12 string acoustic. The high E and High G both broke upon initial installation. The rest of the strings don't hold tune and the tone is awful. Extreme waste of money.